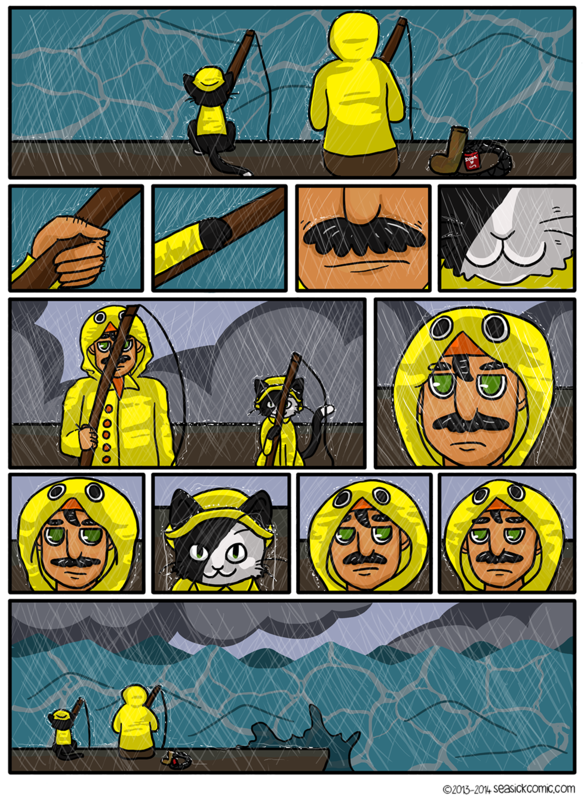 Chapter One – Page Ten – Seasick – The Underwater Adventure Comic. Updates Fridays! on March 5, 2014 and modified on March 6, 2014. Jesse here again, Frances has been sick for over two weeks now! It’s just one thing after another at the moment, but here’s the new comic! A new scene, but the weather’s just getting worse! I hope Max is okay out there!